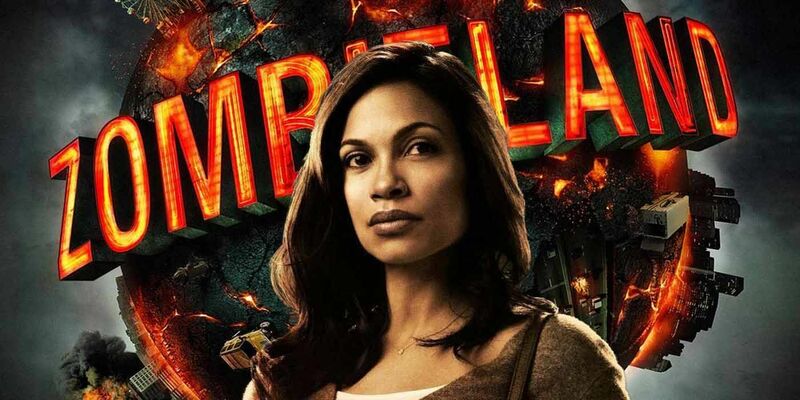 Actress Rosario Dawson is the latest addition to the cast of the upcoming zombie comedy sequel to 2009's Zombieland, Zombieland: Double Tap. According to Deadline, Dawson joins newcomers Zoey Deutch and Avan Jogia in an undisclosed role, while actors Woody Harrelson, Jesse Eisenberg, Emma Stone and Abagail Breslin will reprise their roles from the original film. With a script from returning screenwriters Paul Wernick and Rhett Reese, the sequel will continue the movie's unique mix of action, horror and comedy, with the group of zombie slayers confronting new "super-zombies" that evolved from the undead we saw in the first movie, while also interacting with new human survivors they meet along the way. Dawson's film credits include Kids, Josie and the Pussycats, Men in Black II and 25th Hour, along with significant roles in comic-book-themed films such as Sin City, Sin City: A Dame to Kill For, The LEGO Batman Movie and her role as Diana Prince/Wonder Woman in recent DC Animated Movies. She is also well known for her role as Claire Temple in the Marvel Netflix series Daredevil, Jessica Jones, Luke Cage, Iron Fist and The Defenders. Directed by Ruben Fleischer with a script by Rhett Reese and Paul Wernick, Zombieland: Double Tap stars Jesse Eisenberg, Woody Harrelson, Emma Stone, Abigail Breslin, Rosario Dawson and Zoey Deutch. The movie is scheduled to be released on October 11, which marks the 10-year anniversary of the original film’s release.